These are new pieces I made for customers or myself. As you can see, I can make nearly anything anyone can describe or draw! 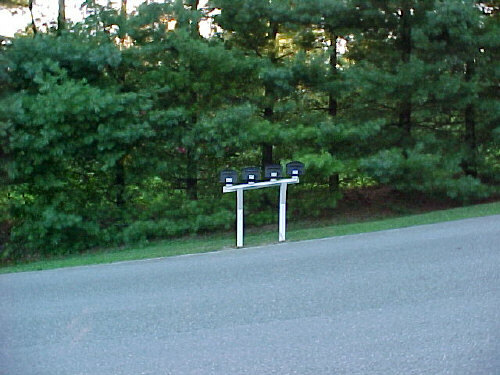 This heavy duty 4x4 mailbox post set is also built to the slope of the hill it is set into. 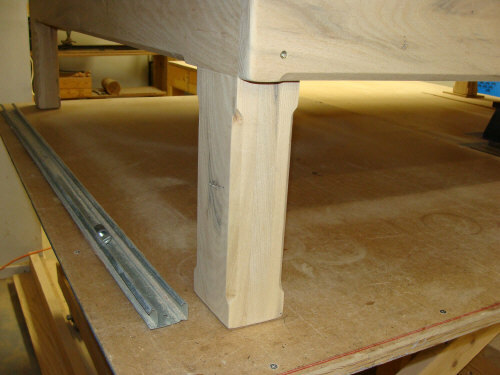 I was supplied with some leftover construction lumber and asked to build a bed from it. 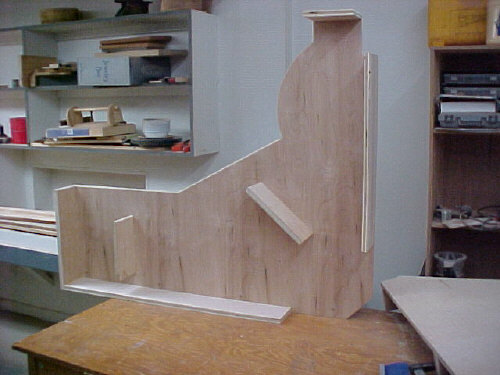 I tripled up the wood for the legs and did some router work to make it more interesting. 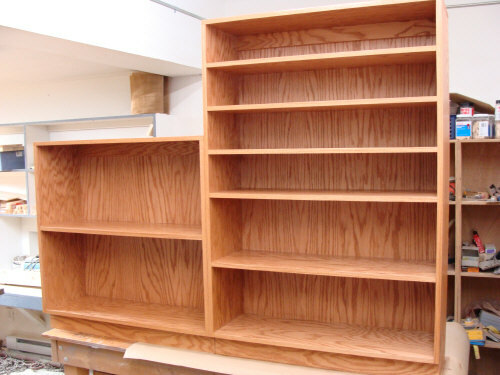 This rack lined up with the bottom of a staircase and is designed to hold CDs and books. 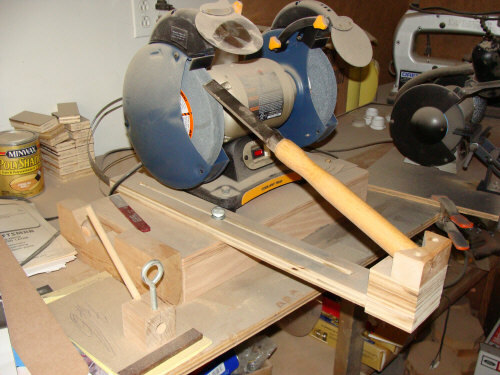 This stand raises a grinder to a comfortable working height and includes two types of chisel grinding jigs. 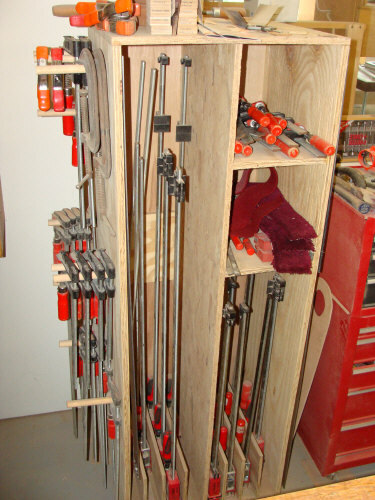 This rack provides storage and hanging space for dozens of different types of clamps. 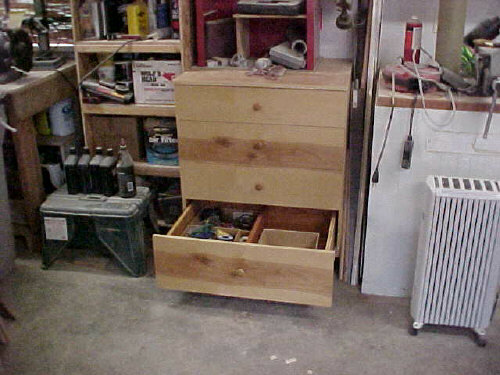 This four drawer cabinet holds many items and has a desktop sturdy enough to work on. 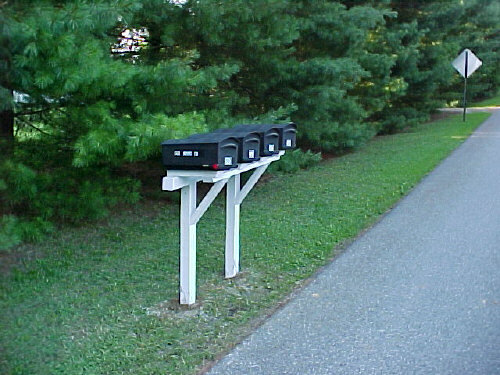 A customer wanted some custom eave vents to perfectly fit his roof. 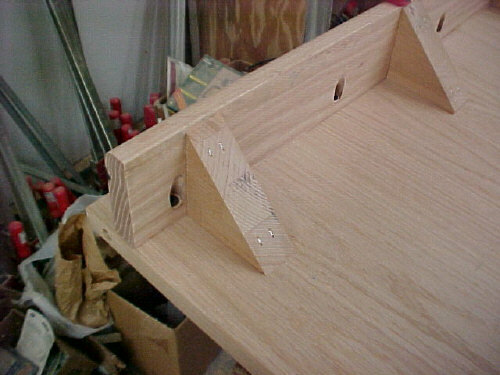 Note the continuous spline slot to hold in the screening. 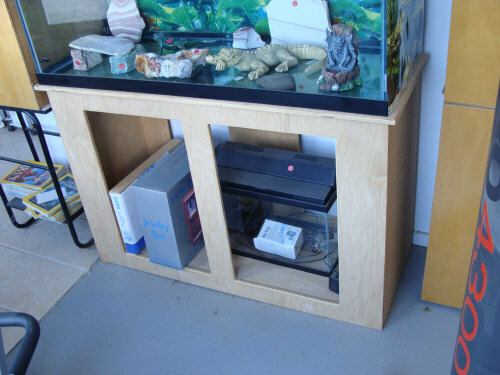 This is a simple fish tank stand for a 75 gallon tank. 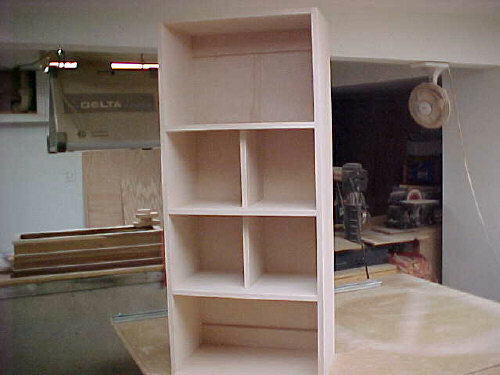 The front and rear are built from single pieces of 3/4" plywood, no rickety 1x3 pine here. 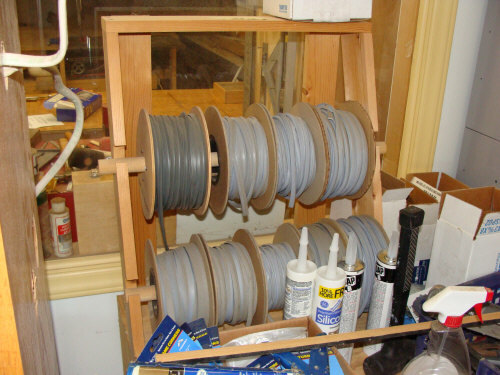 This particular rack holds cutoffs of glass, but it can be adapted to store any material. 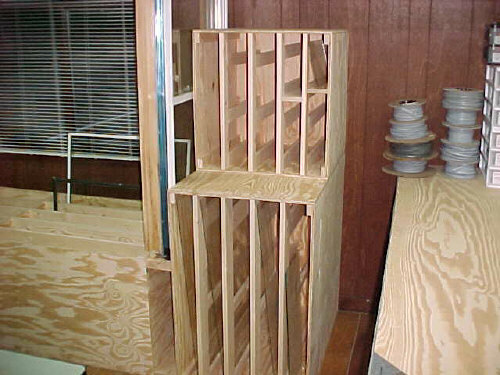 A knick-knack shelf that attaches to the wall. 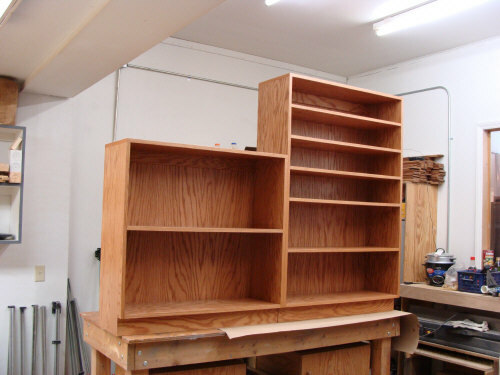 You can store anything with a shelf like this. 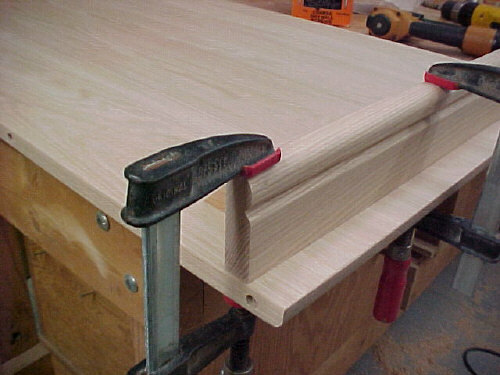 This stand raises a lathe to the proper height for turning. 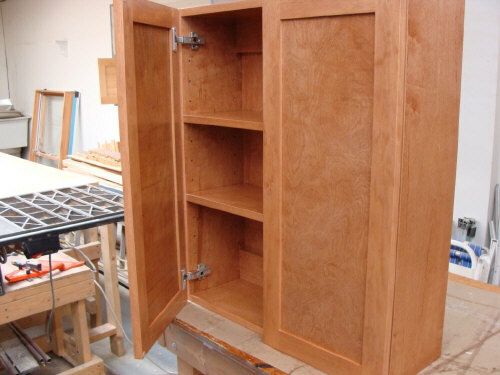 It also has storage under it for the chisels. 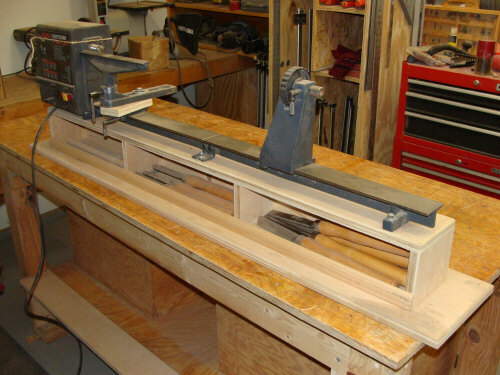 When not in use the whole thing fits under a workbench out of sight. This sturdy medicine cabinet goes over a toilet. 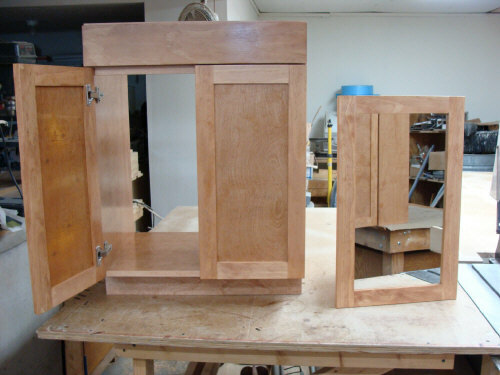 The insides of the doors could easily hold mirrors. 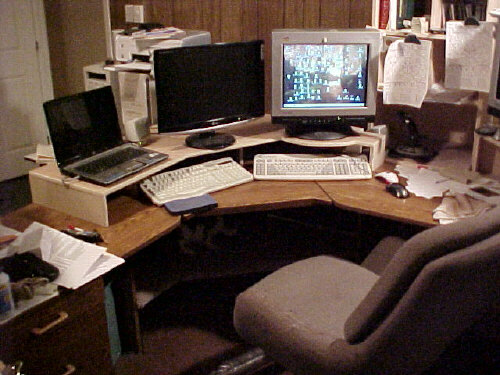 This giant monitor stand holds two monitors, a laptop and has room under it for keyboards and paper storage. 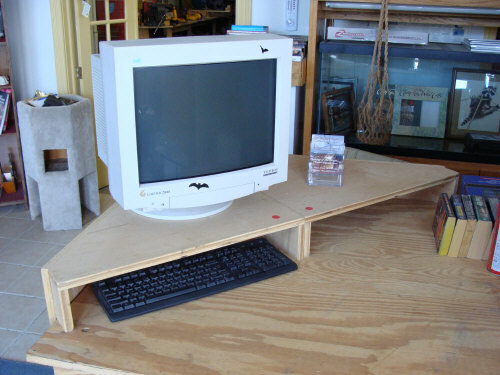 This medium sized monitor stand also holds a slide-out keyboard under it and paper storage below. 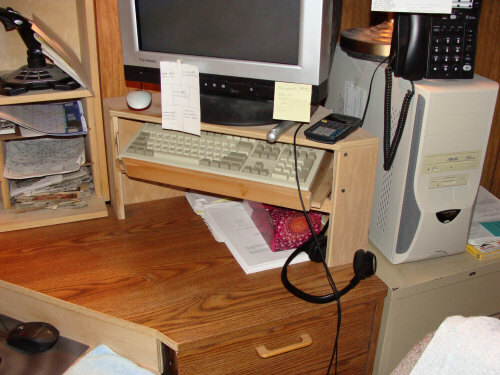 This shows two small monitor stands next to each other. 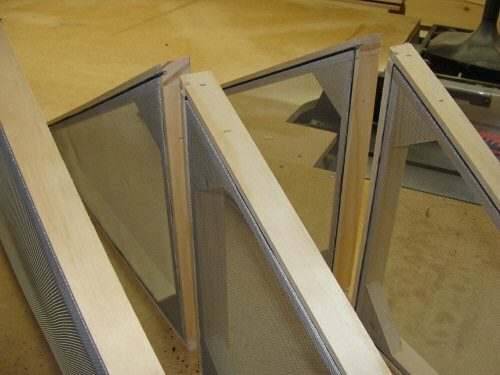 They are tall anough to slide a keyboard under them and beefy enough for the heaviest monitor. 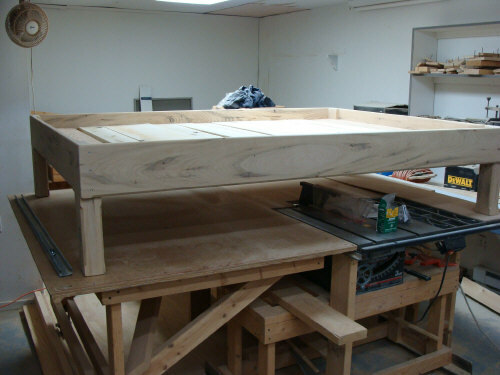 Here is a new leaf for a dining table. 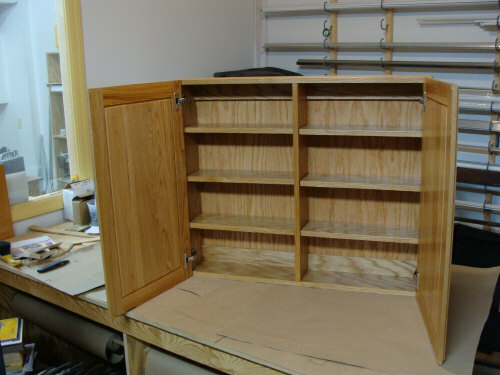 This custom shelf unit holds several radios for a local rescue squad. 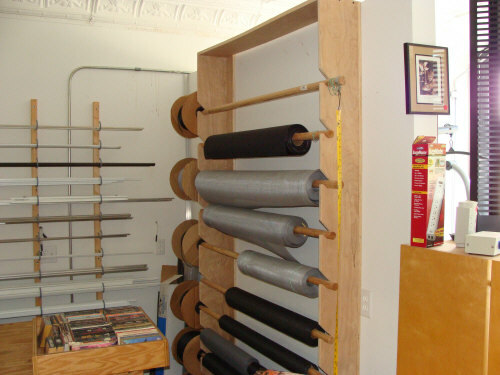 This wall unit holds many spools of screen material as well as rolls of spline on the far end. 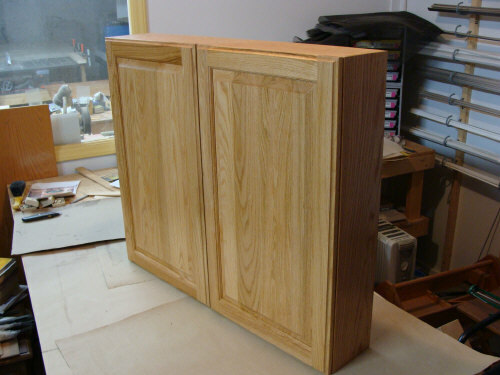 This wall cabinet for a bathroom is built in the shaker style. 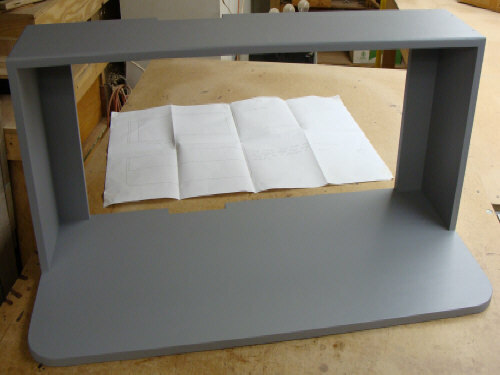 This vanity sink base and mirror is also built in the shaker style. 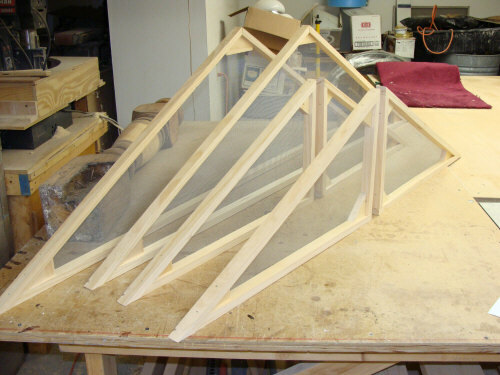 A rack designed to hold window glazing. 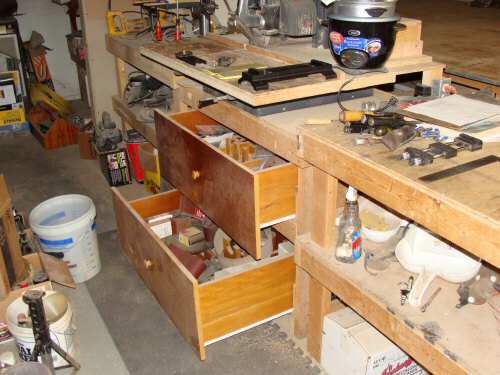 I added a two-drawer cabinet under my rotary arm saw. 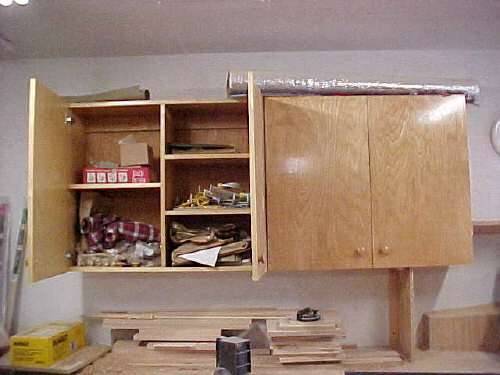 This pair of wall cabinets was designed for a garage. 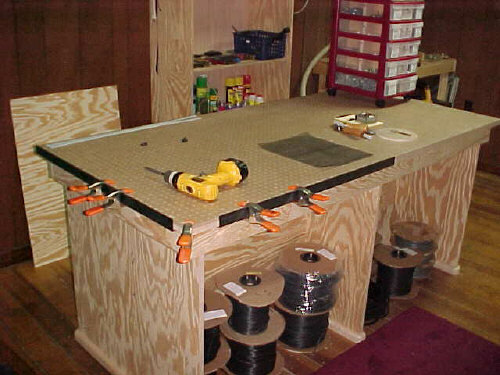 This sturdy work bench can be adapted to anything.